SIMPLY THE BEST … The University of Connecticut Lady Huskies continue upon perfections … 89 straight and counting. The Lady Huskies have gone where no division 1 NCAA team has gone before, men or woman. Men’s or woman’s basketball, it make no difference. The lady Huskies have been the most dominant team in the land for quite some time. The UCONN Lady Huskies, the 2 time, undefeated NCAA Woman’s basketball National Champions have broke the unbreakable record of the legendary UCLA’s John Wooden teams. 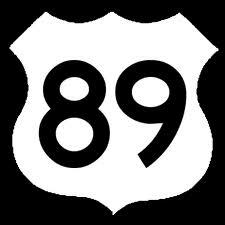 89 consecutive victory by UCONN, unbelievable. 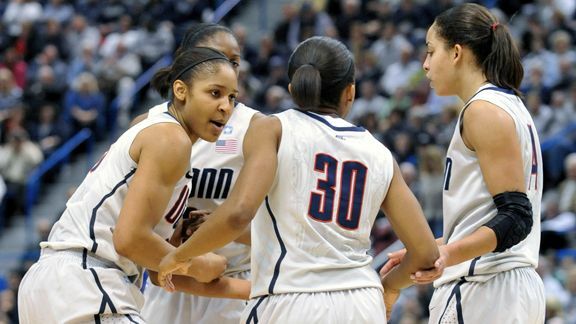 Once again the Huskies made it look easy as all every thing Maya Moore was a one man woman wrecking crew. Moore had 41 points, 10 rebounds and 5 assists. The woman Huskies defeated Florida State 93 – 62. They lead 54 – 27 at the half and never looked back. Congrats to the UCONN Huskies!!! Many do not even know that the record was about to be broke as it was happening in the woman’s basketball game and not the men’s. Along the 89 game streak they have beat 31 ranked woman opponents. It is hard to imagine that night after night, a team could show up to the best of their ability. Even the best have an off night. Not these girls. Honestly, I have been a UCONN lady’s basketball fan dating back to 1992 and the Jen Rizzoti - Rebecca Lobo days. Jen was a scrappy, spitfire known for her knee pads and diving on the floor. She represented all what UCONN Ladies bascketball would become. Oh yea, and she just happened to be all everything in 95-96 wining the Collegiate Woman Athlete of the Year and the Associated Press player of the year. The mantel would be transferred to all everything Diana Taurasi and presently the best player in the land Maya Moore. If you actually want to see how basketball was intended to be played where everything is not a dunk, check out the woman’s game. They stay four years, get a degree, some go pro to the WNBA, but most go on with life. The woman’s game is basketball in it’s purest form and to see one team, the UCONN Huskies under the coaching of Gino Auriemma win 89 in a row is a feat at any level of sports. UCONN Lady Huskies Win 8th National Title Beating Louisville by Largest Margin in Finals History 93-60!!! I actually began watching and became a woman’s college basketball fan back in 1981 when I became a Kim Mulkey fan, the 5 ft 4 in Louisiana Tech University point guard from the Ladt Techsters and her famous ponytail.